The meeting table is where most companies handle a majority of their important business. Whether it’s a conference with some important clients or an interview with a prospective new hire, the business conducted around a meeting table generally pays high dividends for a company. 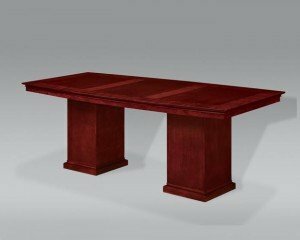 At NorthPoint Office Furniture, we sell a variety of stunning tables for businesses in Alpharetta, Woodstock, Sandy Springs, and communities throughout the Atlanta, GA, area that will make a strong first impression on any visitor and will remain looking beautiful for years into the future. If you’re searching for a quality meeting table for your company’s conference room or executive office, make sure you stop by our showroom, conveniently located in Roswell, GA. We have full displays of our business furnishings, so you’ll be able to see exactly how the products we offer will look in an office setting. You’ll also be able to compare furniture from some of the most trusted names in the industry, such as Cherryman, DMI, Global, HON, Martin Furniture and more. We offer furniture in a wide array of classic finishes, including cherry, mahogany, espresso, oak, maple, and other options, so you’ll be able to select the furniture that best complements your office’s current décor. Contact us today or visit our beautiful showroom in Roswell to learn more about our commercial office furniture, chairs, meeting table options, training table options, and other products. We proudly serve companies in Alpharetta, Woodstock, Sandy Springs, and other communities in and around Atlanta, GA.